I am related to the author of this book. I never met him, and he died in 1907 at the age of 52, much, much before I was born. He was my grandfather’s uncle, and we share the same surname. Govardhanram Tripathi was a lawyer in Bombay, as the city was then known. He gave up his legal practice at 43 in 1898 to write full-time from his hometown, Nadiad. In his rather short life, he wrote nearly a dozen books, including literary criticism, a diary-memoir, essays, and, most importantly, the four-part Sarasvatichandra. Most Gujarati families are expected to have its four volumes on their bookshelves, and if not, at least say that they’ve read them (I have read only the first three parts in the original; the fourth is formidable—my late mother used to say its size is almost as large as its length, but she also said the wisdom in it was as deep, though large parts of the fourth volume include long philosophical digressions about the meaning of life, and later writers have been critical of the novel’s highly stylized, Sanskritized language). To the modern reader, some of Tripathi’s prose would seem stodgy; the political choices his characters make may seem less than adequate to a 21st century liberal. But seen in the context of the time, the novel is path-breaking. Tripathi came from a literary family—his uncle Manahsukhram Tripathi (my great-great-grandfather) was an essayist and statesman; his cousin (Manahsukhram’s son) Tansukhram (my great-grandfather) wrote about philosophy. Nadiad, in the 19th century, was known assakshar-bhumi, or the land of littérateurs—scholars, poets and novelists wrote about progressive themes and supported social reforms, including women’s emancipation, at a time of significant political awakening across India. This was the period in the aftermath of the 1857 war of independence and political ferment was seeking other ways of expression, which led to the formation of the Indian National Congress in 1885. As you can imagine, it was hard not to live in the shadow of Tripathi in our family. Our home had his portrait—the same familiar face of him wearing a turban, with his slightly droopy moustache, looking intently to his left (you can see his face at the centre of the galaxy of writers on the walls of KitabKhana, that fine book store in Mumbai). The teachers at my school, New Era, admonished me if my essays didn’t turn out right, saying: “How could a descendant of Govardhanram write such poor Gujarati?” Perhaps that’s why, except for some early poetry in Gujarati, I would end up writing in English. For more than a century and a quarter, Tripathi’s writing remained known only to Gujaratis, a few other Indians interested in Gujarati literature, and those who had seen Govind Saraiya’s fine 1968 film, Saraswatichandra. More recently, Sanjay Leela Bhansali made a television soap also by that name, which attempted to bring the 19th century novel to the present time—and please don’t blame Tripathi if you found it bizarre. Those of us who knew the novel had the same reaction. 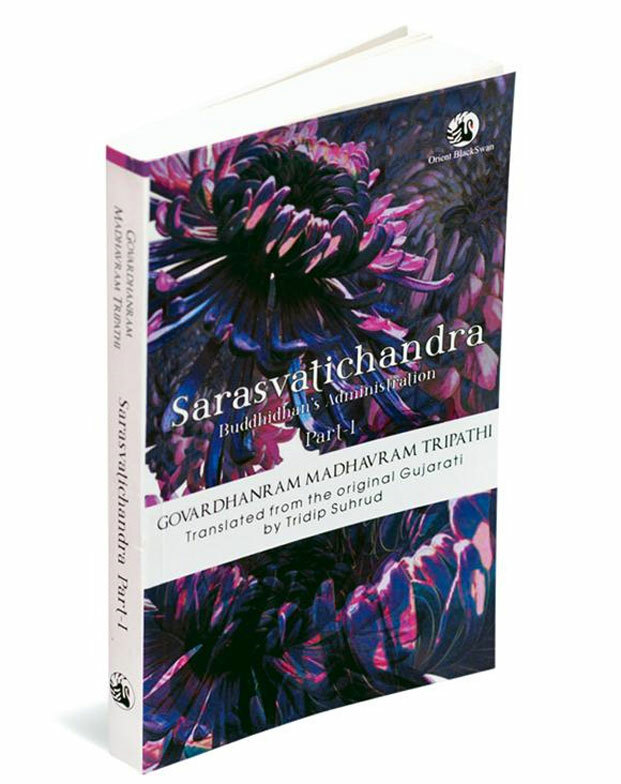 Fortunately, we now have Tridip Suhrud’s magnificent, scholarly and faithful translation of Sarasvatichandra. Orient Blackswan has published the first volume; the other three will be released over the next 18 months. Reading the four volumes itself is a monumental effort; translating them in English, and keeping the language accessible, is a difficult feat, and Suhrud has done a superb job. The challenge for Suhrud was threefold—being faithful to the plot and the language, so that its literary values are not lost; being faithful to the philosophy, even if some of it may sound anachronistic; and keeping it accessible without enlivening it. He has succeeded by being faithful to the spirit of the novel, so that its modernism shines, even as its critique of outmoded practices remains apparent. I did not have my Gujarati volumes at hand when I was reading the translation, but at no stage did the translation feel stilted, as though the thoughts the characters had were in another language and culture. Some literary classics translate well—Russian novels are a good example—and some don’t—Pramoedya Ananta Toer’s Buru Quartet, originally written in Bahasa Indonesia, is one such example. Saravatichandra reads as one of the great Indian novels of the 19th century in this translation, and provides a world view of India with the same breadth and sweep as one would find in a Charles Dickens or Thomas Hardy novel. Suhrud considers him to be among India’s great early modernists: He compares him with Bankim Chandra Chaterjee (1838-94). A Gujarati poet, Nanalal Dalpatram Kavi (1877-1946), had compared him with the German novelist Johann Wolfgang von Goethe (1749-1832) and the French novelist Victor Hugo (1802-85). 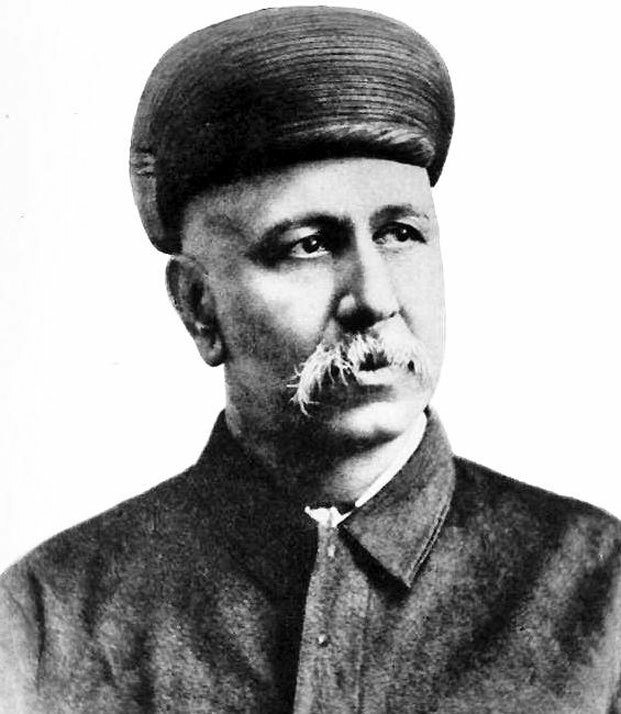 Tripathi wrote the four volumes between 1887-1901 and they offer a fine portrait of the Gujarati society of the late 19th century, with increasing British influence on princely states, the shenanigans of minor officials to remain in favour with the Raj, the predicament of families that have inherited fame but are struggling to make ends meet, the women who want to study and learn, the idealist young man who wants to discover the meaning of life, the cruel role that fate plays in affecting destiny, and how we are tied to what destiny—or tradition, at least—decrees. The four volumes have many references to Sanskrit classics, but they are contemporary, with references to English poets, including William Wordsworth, Percy Bysshe Shelley, John Keats and William Shakespeare. Part 1, Buddhidhan’s Administration, is set in the period after 1857 that coincided with the spread of higher education. Sarasvatichandra is an idealistic youth who wants to understand the world by reading and thinking about life, and wants to play a meaningful role to change society. Son of Lakshminandan, he is a barrister. Lakshminandan remarries after Sarasvatichandra’s mother dies. He is quite possibly the first hero in a Gujarati novel who is a graduate, well-versed in at least two languages, besides poetry and prose. He seeks a companion who thinks the same way, and finds her in Kumudsundari. But they cannot marry, and, years later, he ends up marrying her sister Kusumsundari, because marrying the now widowed Kumud remains a taboo. The second part is about the Gujarati family of Gunsundari and Vidyachatur, the parents of Kumud and Kusum. It shows relations evolving between married men and women, and the role education plays in making those relationships more equal. It depicts the joint family, even questions certain practices, and how it can undermine individual freedom. As a family modernizes, is its fall inevitable? The pressures that Sarasvatichandra feels are not unlike what Ram feels in the Ramayan. At the instigation of his new wife Guman, Sarasvatichandra’s father admonishes him, thinking he is only interested in the family wealth, and Sarasvatichandra calls off his engagement with Kumud and leaves the house. The third part deals with statecraft—what constitutes an ideal state? Ratnanagari, a fictional princely state, is the focus of the inquiry. Critics have seen here Tripathi’s exploration of the Mahabharat. It deals with the duty of a ruler and a state promoting welfare. The final part is contemplative, spiritual and philosophical, and it is less fiction and more a reflection of Tripathi’s world view. Set in Sundargiri, a monastic community, it shows Tripathi’s deep interest in spirituality, of seeing virtues in asceticism. Can a man choose to be an ascetic in the presence of women? How can one live an ascetic life and remain in a marriage? Tripathi also underscores the importance of religion—not of the fundamentalist hue that manifests itself in our contemporary life, based on intolerance and hatred for the other, but a deeper, more spiritual life, at peace with one’s self. The novel was far ahead of its time; among the themes it explored were the possibility of widows marrying again, women’s education, the clash between those educated in English and the traditional rulers, and how single women could be effective in society. He would have preferred to have said “should be”, and not “could be”, but he recognised the limits traditions imposed, and believed his role was in raising the possibilities, and letting the readers make changes in their lives to bring about social change. As the current maelstrom in Indian society shows, India coexists in many centuries, and it has still not resolved many of these questions; Sarasvatichandra’s contemporary relevance—and Tripathi’s own view, of stressing peace, tolerance, welfare, an enhanced status of women, and a spiritualism which does not advertise its rituals and religious manifestations, but lets it guide the choices in one’s life without imposing them on others—remains undiminished. If there is a Gujarat model India wants to look at, then Sarasvatichandra, and the politics its enthusiastic reader Gandhi inspired, are good places to start. Salil Tripathi is the author of three works of non-fiction and he is currently working on a book about Gujaratis for Aleph Book Company. Salil is a contributing editor to Mint and Caravan in India. He is Chair of PEN International Writers in Prison Committee.